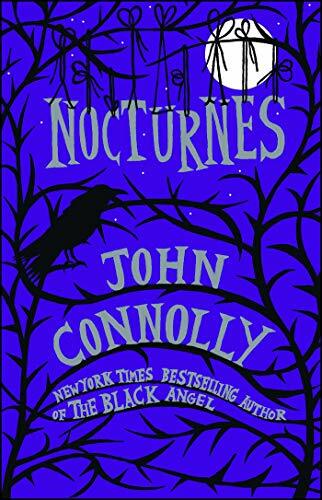 From #1 internationally bestselling author John Connolly comes Nocturnes, a dark, daring, utterly haunting shot story anthology of lost lovers and missing children, predatory demons, and vengeful ghosts. Connolly’s collection of supernatural novellas and stories echoes the work of some of the masters of the genre while never losing his own distinctive voice. In "The New Daughter," a father comes to suspect that a burial mound on his land hides something very ancient, and very much alive; in "The Underbury Witches," two London detectives find themselves battling a particularly female evil in a town culled of its menfolk. And finally, private detective Charlie Parker returns in the long novella "The Reflecting Eye," in which the photograph of an unknown girl turns up in the mailbox of an abandoned house once occupied by an infamous killer. This discovery forces Parker to confront the possibility that the house is not as empty as it appears, and that something has been waiting in the darkness for its chance to kill again.